If you no longer wish to block access from a specific IP address, you can use the IP Blocker to allow access from that IP address. 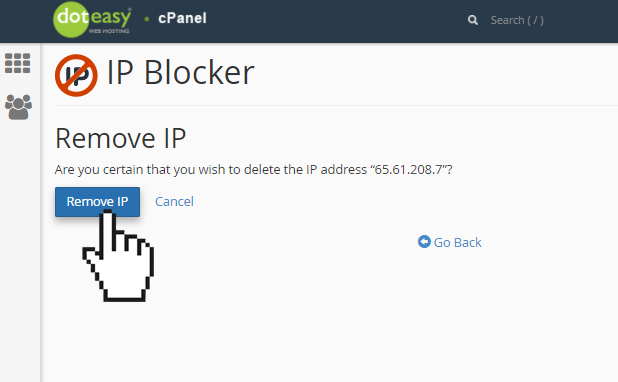 Click IP Blocker under Security in cPanel. Find the IP address from the Currently-Blocked IP Addresses table. Click Delete in the Actions column for the selected IP address. On the Remove IP page, click Remove IP to confirm the unblock request.